From the opening pages of The Fade Out, Ed Brubaker gives us a clear message. “Something in the air made it easier to believe lies,” the protagonist narrates. That people are willing to believe the lies because it’s easier than the truth is a simple through-line, but it paves the way for the twelve-issue series to explore matters of gender and of systematic oppression in a 1940s Hollywood setting that’s equal parts strange as it is familiar, an exaggerated reflection of today’s world that is made even more upsetting because of how real it feels. Brubaker’s main characters are introduced with precise confidence. Despite the relatively short length of the story, he takes his time crafting his cast, and each character is layered and instantly engaging. The quasi-noble attempts of screenwriters Charlie Parish and Gil Mason are marred by selfish reasons, and neither character finds peace despite renewed, or redefined, purpose by the final act. Charlie -- who lives a lie as a writer who can’t pen his own scripts, and shares that lie with Gil, an outed communist who can no longer get his own work -- is deeply invested in actress Valeria Sommers. Writers Charlie and Gil have a relationship bound by misfortune, and despite Charlie’s affection for Val, he is the more reluctant of the two to actually seek out justice for the poor girl. In fact, when he finds her body just feet from where he’d fallen into a drunken sleep, Charlie’s first act is to remove all traces of his presence in that house, and anybody else’s. He sneaks out of the building, to feign shock at the discovery when a co-worker tells him about it later on. The act is even more deplorable as we learn just how deeply he felt for Val, the young starlet whose death harmed more pockets than it did hearts. The women of the story are the clear victims, and impressively enough from an artistic standpoint, the most heinous act against any woman is the murder of Val in the opening pages. After that, we zoom further and further out to witness the entire, unpleasant picture. Gil, an alcoholic who has become distant and removed from his own family, is hit hard by the news of the actress’s death, having already experienced deep neglect from the studios he’d given so much to. He drinks more and more, he acts out far too often, and he essentially forces Charlie into action when he declares that they need to investigate the murder and bring the culprits to justice. But Gil, again, isn’t acting selflessly. This is his chance for revenge. He surrenders to his vices frequently and pathetically and now gets an opportunity for some kind of vindication for himself. There’s little righteousness to find from the men in the story, just as there is little victory to be had for any of the women. Sean Phillips draws his men with sour expressions while the women are often full of life, even if they’re all equally as miserable. We meet Maya Silver partway through Act One, who lost the part in the studio’s latest film production to Val, and who now wins it in the wake of her death. She, along with public relations whiz Dottie Quinn, is a wonderful example of how to write strong and compelling female characters. Maya is instantly vulnerable, but not naïve. She’s confident of herself, but she knows when she needs to play her role. Valeria doesn’t mean quite so much by the time we meet Maya, so we’re more willing to accept her as the replacement -- even if Charlie is having trouble watching someone else walk in Val’s shoes. Phillips’s pencils are, as ever, gorgeous and sharp, full of mood and atmosphere, only made more striking by Elizabeth Bretweiser’s colors. Phillips’s art brings to life the Hollywood of the era, and his flashback segments are particularly stunning. He employs a format in which he adds the point of view character in the fore, and sketches the past into the background. These are beautifully rendered, and they quite sublimely deliver the point. It’s perhaps one of the freshest ways I’ve come across of drawing flashbacks into a story, instead of simply using caption boxes or monologue (although there’s plenty of that going on). It makes things feel more immediate and involved. 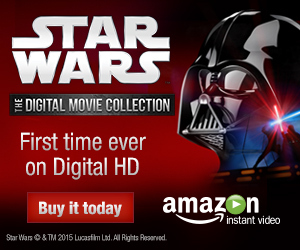 The creators are insisting that the flashbacks are integral to their story. Moreover, Phillips is the perfect fit for bringing to life Old Hollywood, thrusting you into an environment that is just as familiar as it is different; the lights of the buildings constantly contrasting the dark, interiors of the places Charlie and company spend most of their time. There’s a stunning sequence, just over halfway through the book, in which Charlie and Maya are gone, away from the chaos of their lives, for a brief time. It’s a soulfully elegant chapter of writing, and comes in the center of Act Two, in which Gil is absent for a large portion for the sake of the plot. Brubaker is clearly lining up his pieces, and already begins to eliminate subplots ahead of the third act. He does not race toward his finale, but the stakes are high. The book’s conclusion on first read comes quite jarringly and unexpectedly, but is a fitting resolution on a second pass. Late in the story, Brubaker revisits the sanctuary by the beach where Charlie and Maya disappear to, and it adds layers to the characters involved. In these moments, the slow-boil growth the characters are going through bounces up to the surface, a reminder that The Fade Out is as much about a handful of fascinating, imperfect characters as it is about its deep and disturbing mystery. By the time the book comes to an end, there’s no satisfaction, not the kind many stories are prepared to provide. Instead, Brubaker makes you angry, and more than a little sad. He wraps up a story about weak men who can muscle strong women, and how the survivors were the ones who could just smile and wave. You’ll want to pay close attention all the way through, as Brubaker seamlessly juggles a multitude of plot threads but never holds our hand doing so. The Fade Out is full of injustice, elevated by superb character building, and is one of the most confronting murder mysteries you’ll find in the medium. 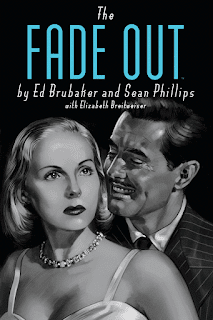 The deluxe hardcover edition of The Fade Out highlights the incredible visuals found in the book in a larger format, but also includes a number of sketches, research pages, selected essays, and inspirations in the back. Fans of the creative team and also of the comic book process are sure to get a thrill out of taking a glimpse behind the scenes. Also included is the teaser, a short narrative Brubaker uses to pitch his ideas and “tease” the story.